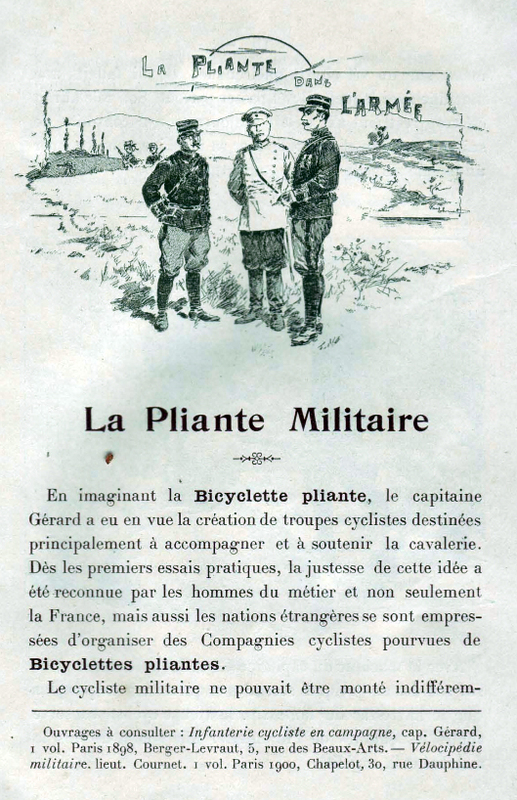 The increasing importance and potential contributions of military cycling were officially recognized in 1901, when cycling infantrymen paraded down the Champs-Elysees during the July 14th celebrations and Gerard himself was received by the president of the Republic. 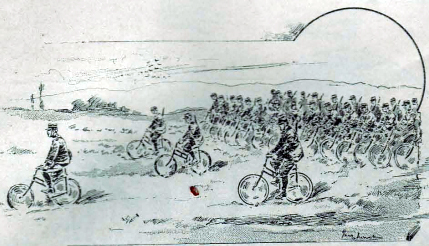 Four years later Gerard, now a major, was in command of a battalion of four companies of cyclists. 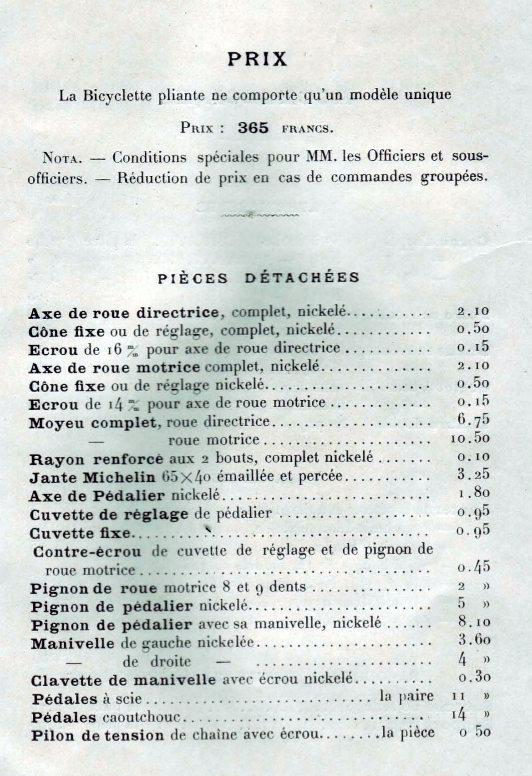 In October 1913, as war loomed ever closer, the French army created ten groups of chasseurs cyclistes, each of which had four hundred men. 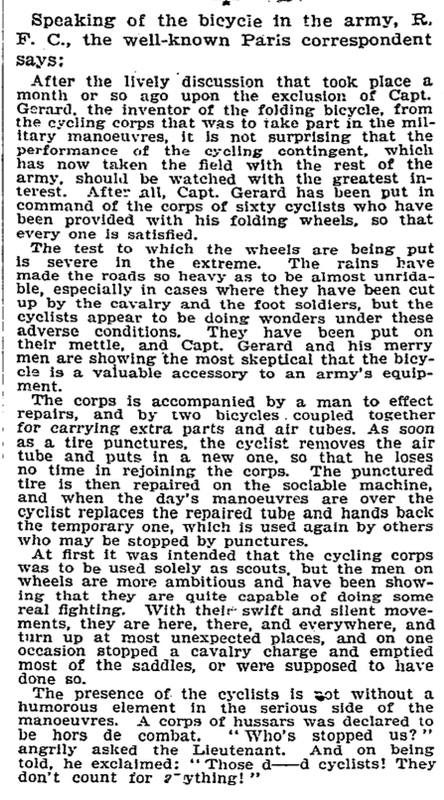 The Captain Gerard Folding Bicycle had a number of modifications in 1912 to bring it up to date for the French army. It was now fitted with mudguards and more modern handlebars. Brakes were an option too. 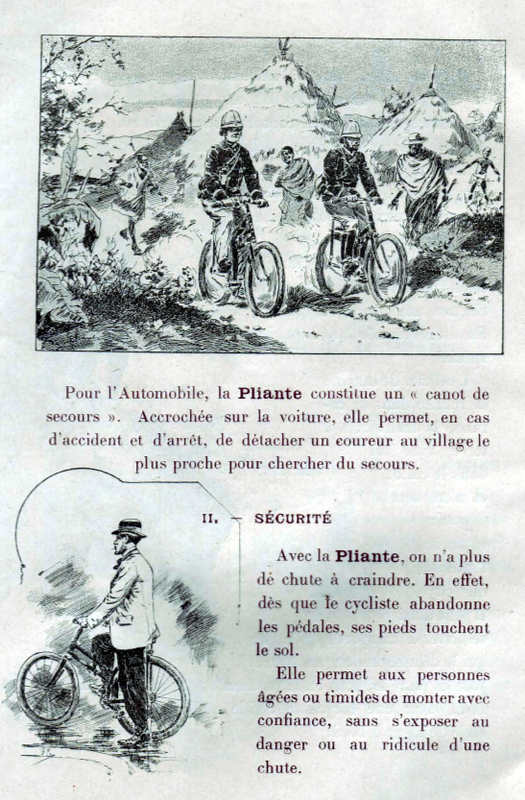 Although they were made for the military, Peugeot also marketed them to the civilian market from the start of production; in the 1901 catalogue further down the page you can see illustrations of men, women, children and even priests riding them. 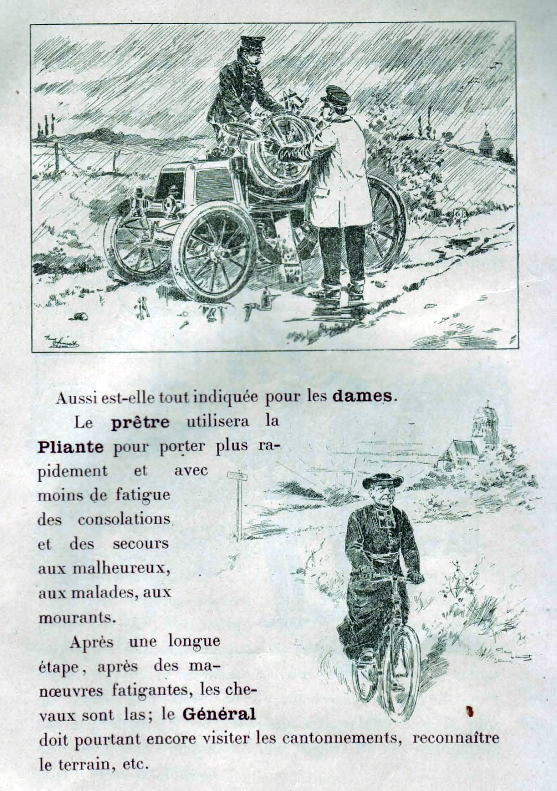 (They were particularly suitable for priests who, with their long cassocks, had a similar problem to women when riding bicycles). You can compare this 1914 model with my friend Ricky’s 1901 version on another page. 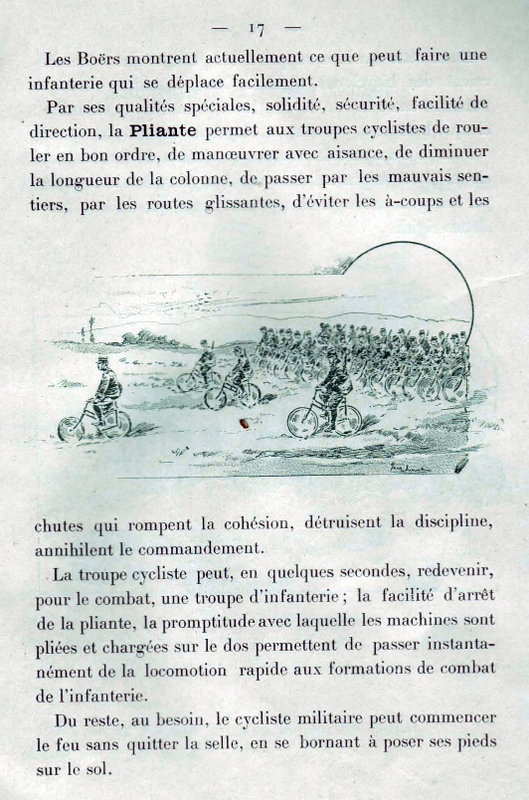 Quite a few historical texts claim that the French military invented the first folding bike. 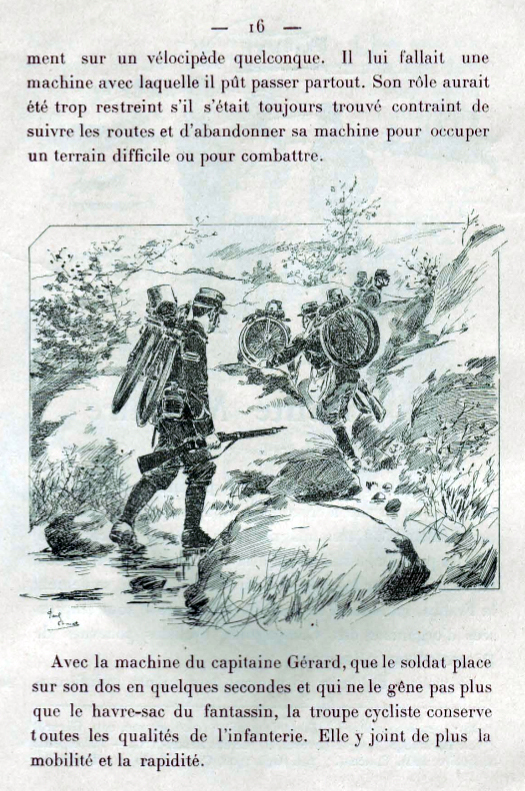 In particular, a French military officer named Captain Gérard is given credit. This simply was not true but there is an fascinating story behind this misnomer. 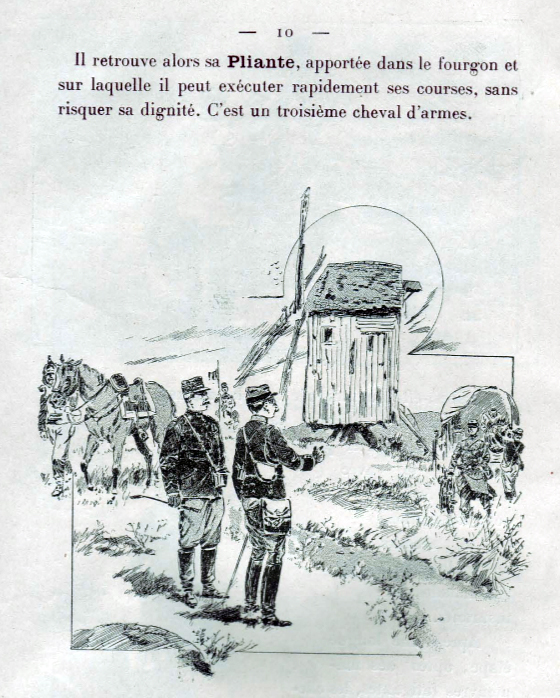 A complete telling of the story is in a book entitled “Charles Morel – constructeur dauphinois sous la troisième république”. 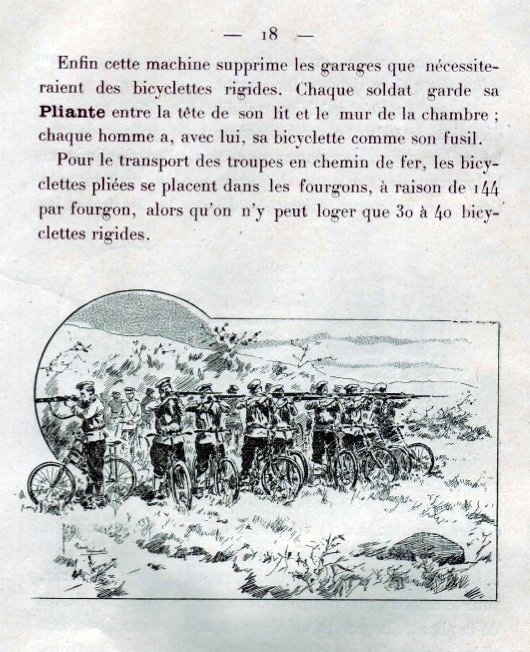 Since it is in French, here’s the short version: Charles Morel, a wealthy French industrialist, became enamored with the relatively new bicycle craze and devised of a folding bicycle and built a prototype in 1892. 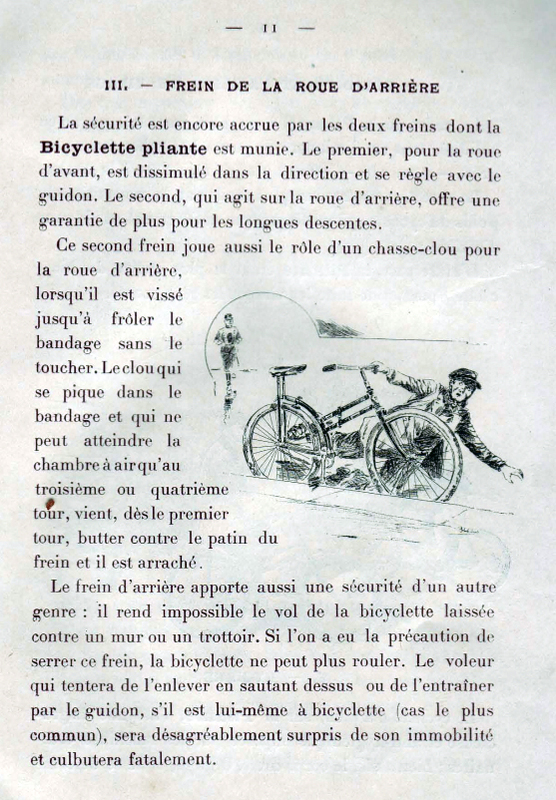 Independently, in 1893, a French army lieutenant named Henry Gérard imagined the use of a folding bike by the army and filed a patent for one through his father-in-law Henri Noêl on June 27, 1893. The problem was that this bike was deeply flawed and basically didn’t work. While looking for help to fix the design flaws he was introduced to Charles Morel. 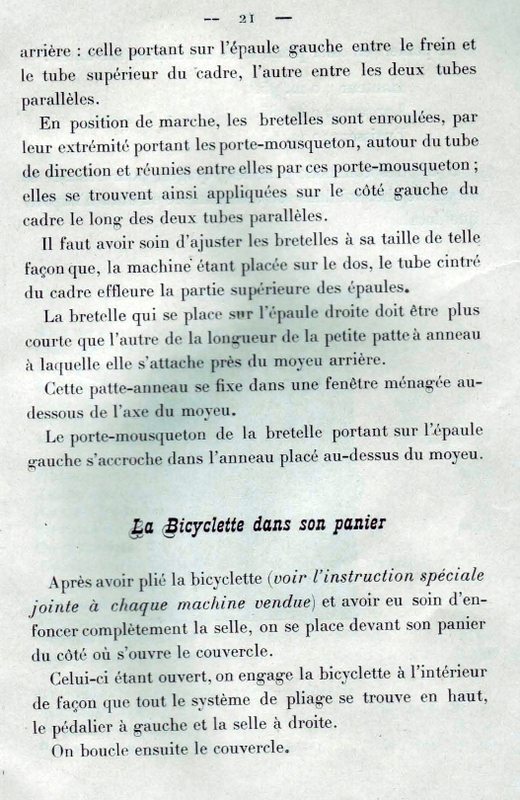 Mr. Morel showed his prototype bike to Gérard and suggested that he meet with one of his mechanics named Dulac and get his help in perfecting a working folding bike design. 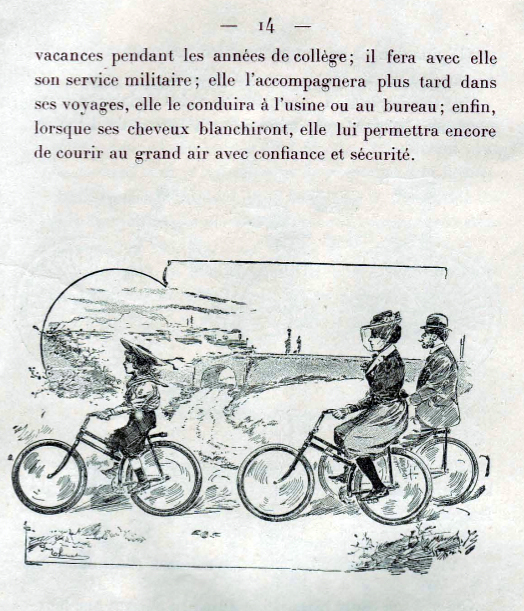 Dulac was successful in this endeavor so on Oct. 5, 1894 Charles Morel and Lieutenant Gérard entered into an agreement to manufacture and commercialize a folding bike. 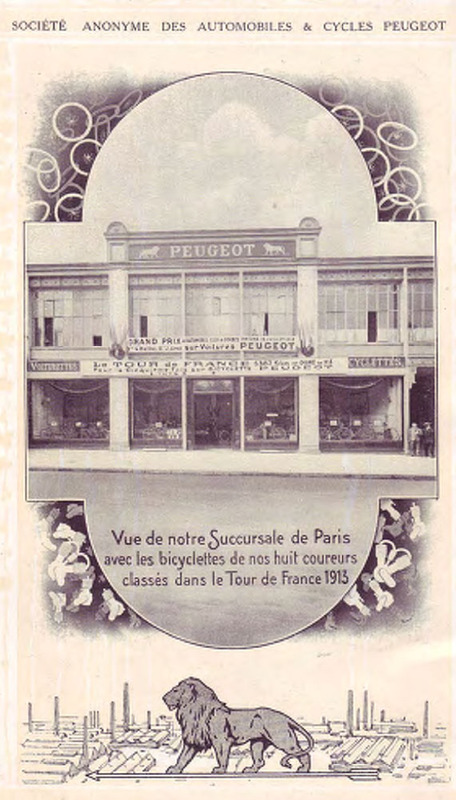 Morel would finance and oversee the manufacturing and Gérard would promote it. 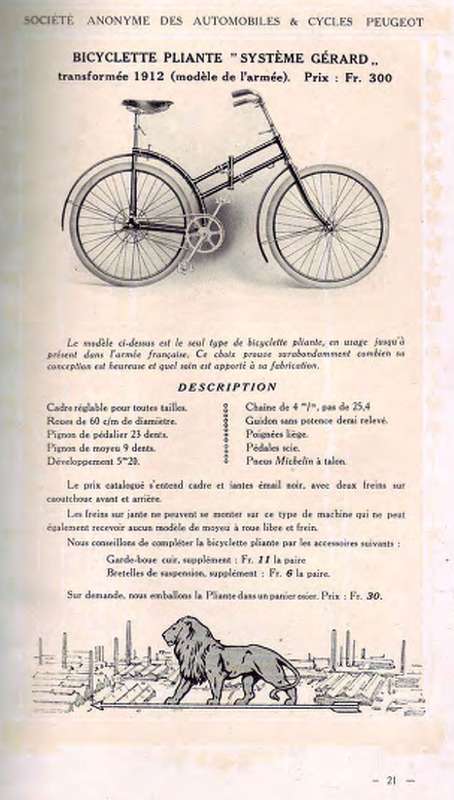 Production of the bike began in April of 1895 and it was an immediate success with orders quickly exceeding production capacity. 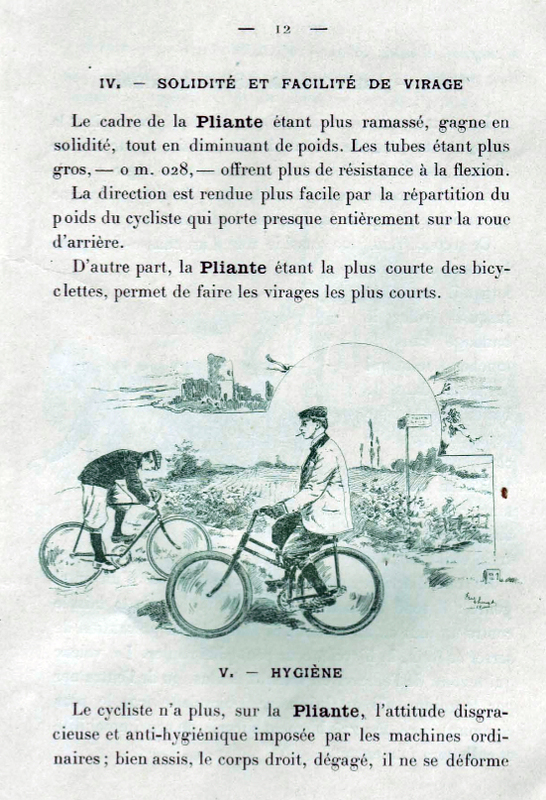 In October of 1895 a retail store was opened in Paris to sell the bike to the public. 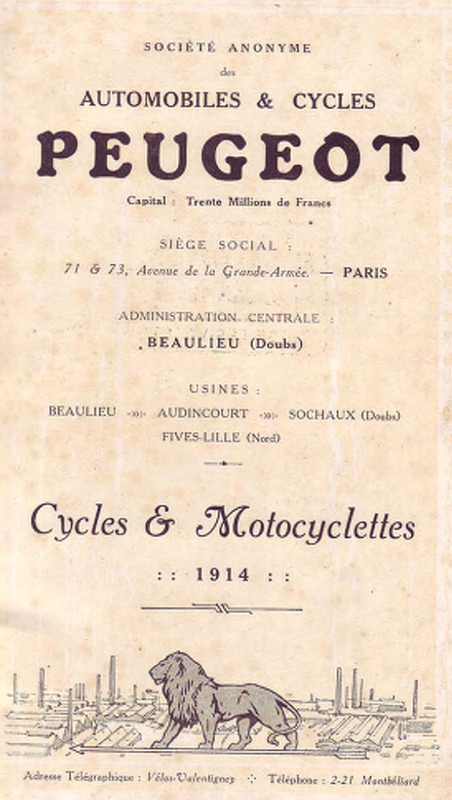 Gérard was tasked to market to the French military which were subsequently supplied with 25 test bikes. The Romanian and Russian armies placed orders as well. 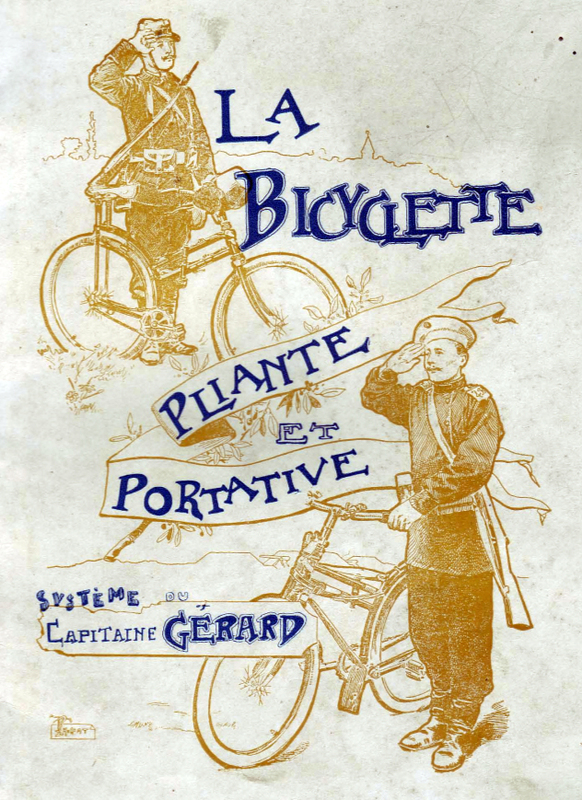 Lieutenant Gérard was successful in selling the idea of using folding bikes to the army and was ultimately put in charge of a regiment of folding bike equipped soldiers and was eventually promoted to the rank of Captain, largely because this folding bike. 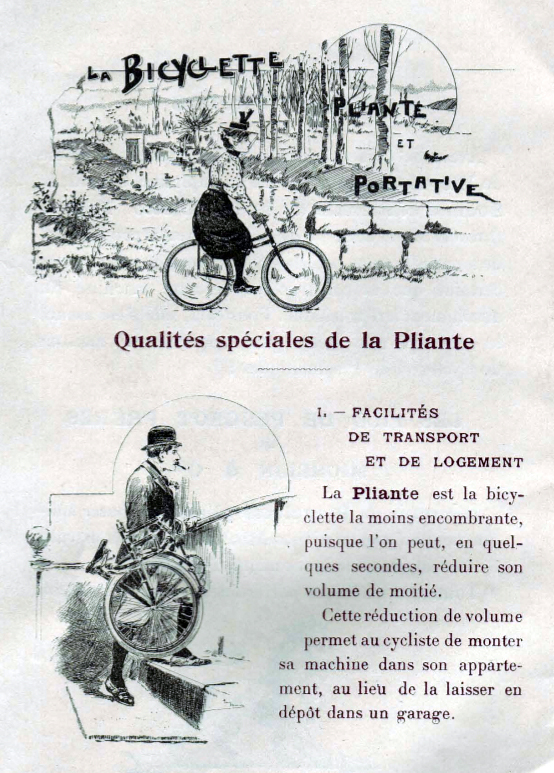 Charles Morel let Gérard become the public face of their folding bike joint venture, leading everyone to believe that Captain Gérard was the father of the idea when in fact Mr. Morel had the idea first and completely financed the venture. 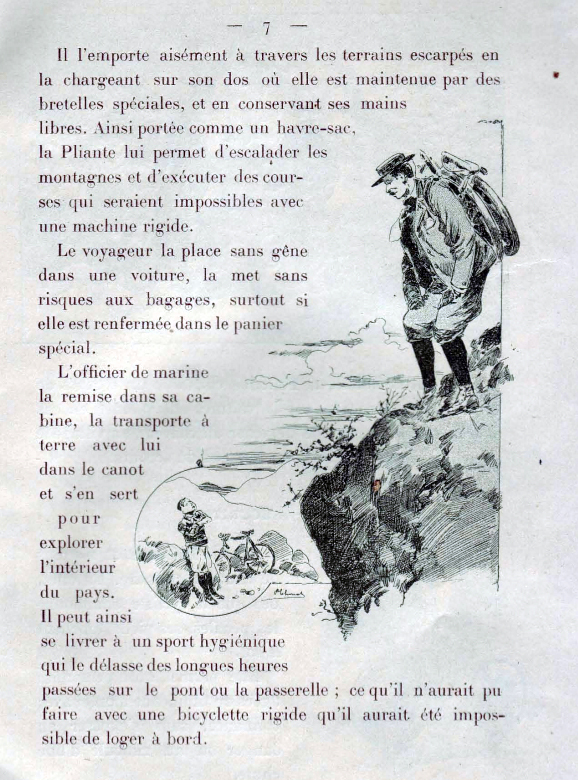 After a while Captain Gérard started to believe this hype himself and sued Mr. Morel for what he though was his fair share of the profits. This caused a falling out between the two men culminating in the dissolution of the partnership. 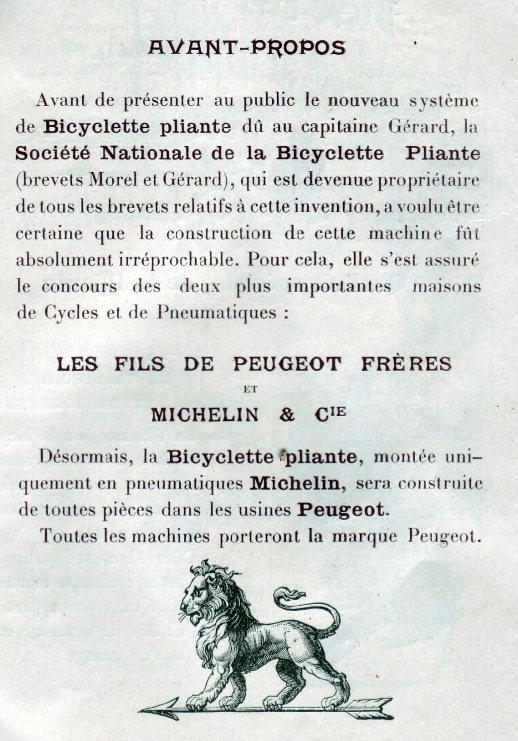 The patents for the folding bike were eventually sold to a consortium of Peugeot, Michelin, and the French army and they took over production of the bike in 1899. 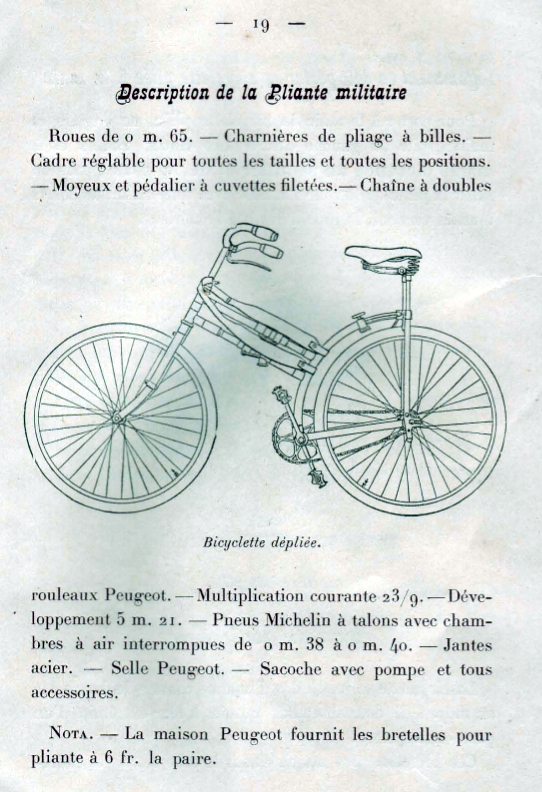 This folding bike first appeared in the Peugeot sales catalog in 1899, which has led some historians to erroneously believe that it was invented by Peugeot. 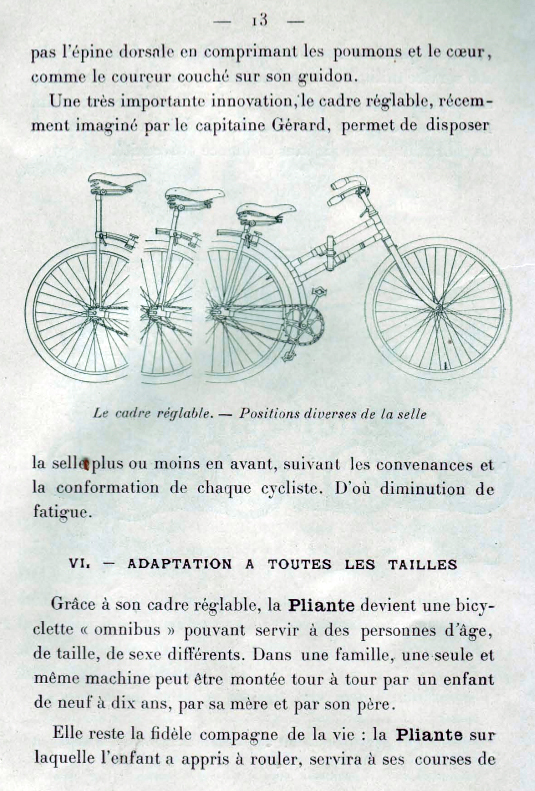 So what became widely known as the “Captain Gérard folding bike” was not actually the first folding bike, since Emmit Latta’s bike preceded it by a number of years, nor was it actually invented by Captain Gérard. 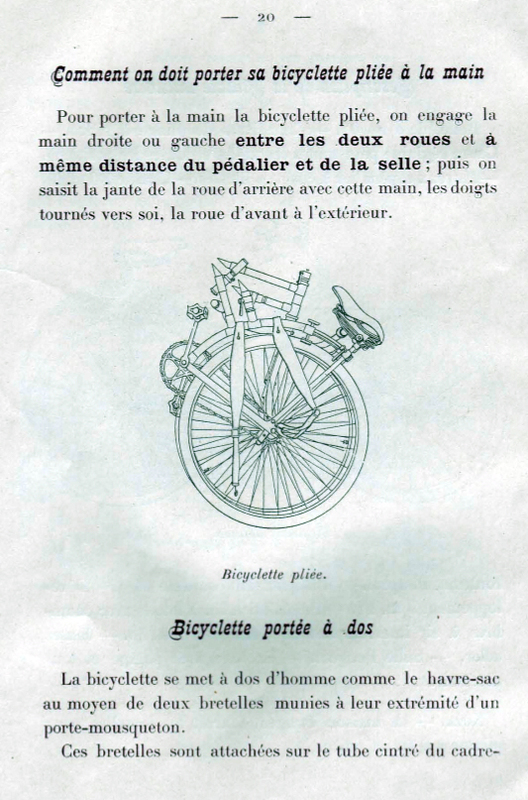 However, it probably was the first folding bike manufactured in relatively large volume. 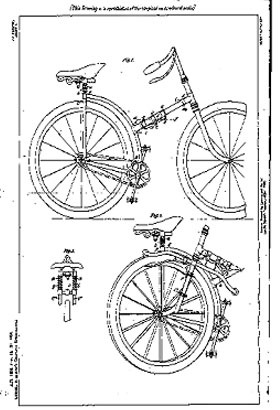 I was able to find a patent application made in England for the “Captain Gerard folding bike” dated January 18, 1896 (two years later than the French patent mentioned). 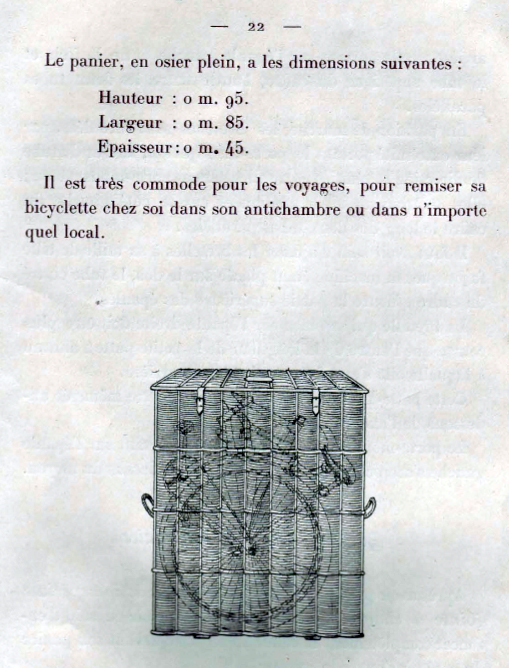 Henry Gérard is listed as the co-inventor on the patent along with Charles Morel.